Blane Harden’s harrowing account of North Koren prison escapee Shin Dong-hyuk. 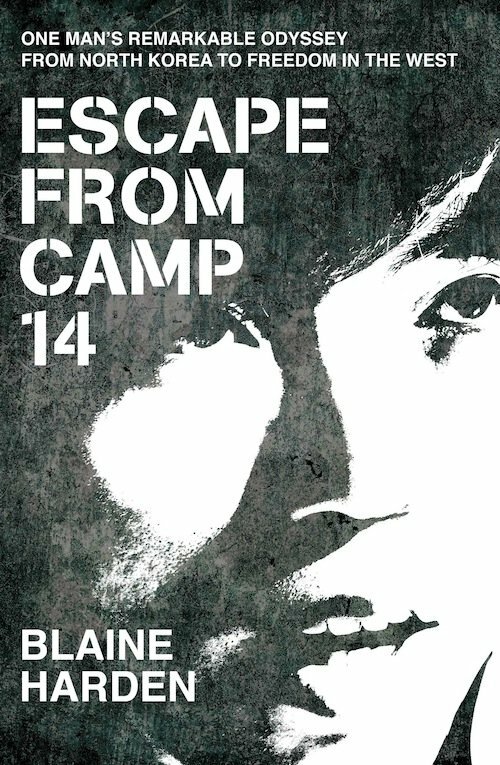 A packed house heard the touching and frightening story of Shin Dong-hyuk at the Frontline Club, told in Blaine Harden’s recently published book Escape from Camp 14: One man’s remarkable odyssey from North Korea to freedom in the West. 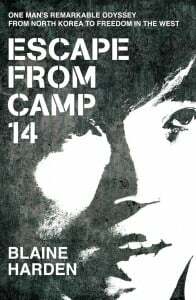 Shin Dong-hyuk is one of only three known prisoners to have escaped from North Korean prison camps over the last half century (he did so five years ago), and he is the only escapee to have been born and spent his entire life in a camp. His parents were inmates paired up with the intent of breeding the most productive labor possible. A slim, strong-jawed 28-year-old about 5’7’’in height, Shin Dong-hyuk sat in a smart grey suit and shared his story with composure, nodding solemnly to each point his interpreter shared, his manner occasionally bubbling forth with a moving, energetic sincerity. “You’re supposed to be dead,” he recalled guards telling him as grew up. The only redemption for criminals’ children, they told him, was hard work. “My only care was to meet quotas, with no mistakes,” he related, his foreshortened middle finger marking the time as a boy when he dropped a sewing machine and had the top of the finger amputated as punishment. The most disturbing memory Shin Dong-hyuk shared was of his mother’s death. Raised more by prison guards than by his parents, he had had it drilled into him that any mention of escape would be punished by execution, and even that failing to report others’ mentioning of escape would be punished with death as well. One night while visiting his mother, a 13-year-old Shin Dong-hyuk overheard her and Xin’s brother mention escaping. His heart pounded at the sound of the word, and he urgently sought a friend’s council about what to do. They decided he should tell the authorities. He later watched from a crowd as his mother was hanged and his brother was shot. Shin Dong-hyuk remembered his mother looking into the crowd and meeting his eyes before her hanging. He looked away, disgusted at her for betraying him by conspiring to escape. Only in the last few years has he begun to feel and try to reconcile a sense of guilt in the affair. But at the time, he had simply done what he had been taught his entire life was the right thing to do. Shin Dong-hyuk finds purpose today in Christianity, sharing his story, and leading a monthly webcast attended by other North Korean refugees. When an audience member asked what he wanted for his country, he rejected the goal of democracy. “Every country claims to be a democracy,” he observed to an audience that chuckled in acknowledgment, “including North Korea.” He simply wished for freedom. In a world where North Korean diplomats end meetings at any mention of these prison camps or human rights abuses in the country, the prospects of the 200,000 inmates that still live in these camps today, let alone the 24 million citizens for whom “even the slightest mistake” can land them in jail as well, appear dim. Meanwhile, as Harden pointed out, an international media that fixates on goose-stepping soldiers, the “funny appearance” of Kim Jong-il or his son, or the latest round of nuclear weapon saber-rattling, and which passes these stories off as “the news” about North Korea, misses the reality and detail of millions of North Koreans suffering unimaginable degradation under totalitarianism.